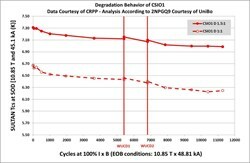 The performance degradation problem that was found in a conductor for ITER's central solenoid last year seems to be solved. 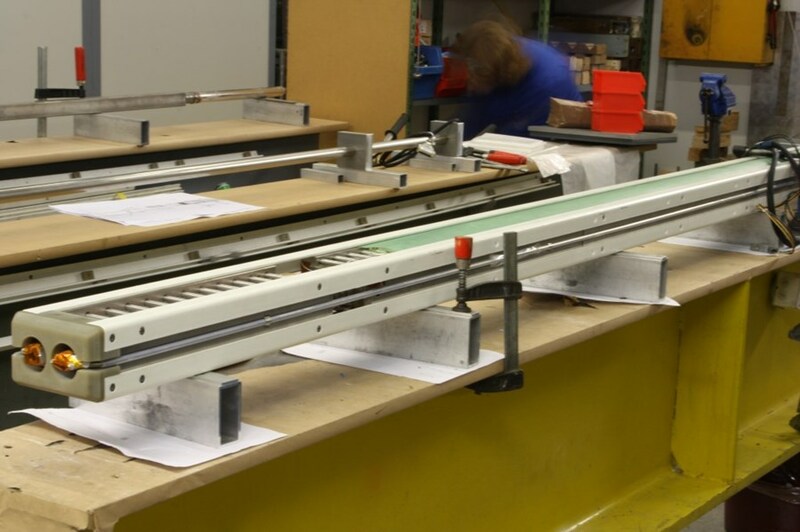 As part of a comprehensive R&D program that was launched following unsatisfactory test results, a new conductor was fabricated; recent tests performed at the SULTAN Test Facility in Switzerland show good results. The new conductor sample was submitted to 10,000 magnetic load cycles and two warm-up / cool-down cycles, mimicking one-sixth of the full operational life of ITER's central solenoid. "Compared to the tests performed last year, the conductor now shows a level of degradation much closer to that originally anticipated in the design, and the rate of degradation with magnetic cycling is stabilizing," explains Neil Mitchell, head of ITER's Magnet Division. A close-up of the unwrapped cable. The tested conductor sample has two new features with respect to previous samples: First, it relies on a different strand manufacturing process, referred to as "internal tin", which has shown good resistance to mechanical bending loads in individual strand tests. Second, it compares two design options: In one, the original cable design is used, with two superconducting strands (copper to non-copper ratio 1:1.0) and one copper strand forming the triplet that is the basis of the cable structure. 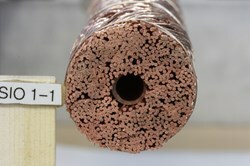 In the other, three superconducting strands (copper to non-copper ratio 1:1.5) are used. In this three-superconducting strand option, the loads on individual strands are reduced and extra superconducting material is added. 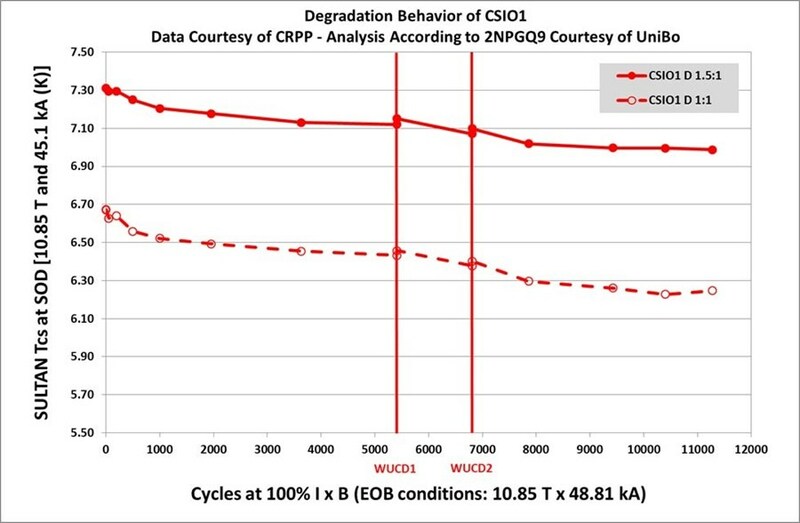 Proof: The graph showing the degradation behaviour of sample CSIO after ~11 000 cycles. The root cause of the problems observed in the original tests is believed to be the high magnetic loads accumulating on the strands in the cable-in-conduit conductor. To maintain a low level of coupling losses in the pulsed conditions required in a central solenoid designed for a tokamak machine such as ITER, the contact between strands needs to be limited. However, the strands also need to be supported transversally to limit bending under the Lorentz load. If the strands deform too much, it can lead to gradual fracture of the brittle superconducting filaments and degradation in superconducting performance.